Apple cider vinegar is known for keeping your scalp healthy by removing any build-up and bacteria growth which can cause clogged hair follicles. ACV – Apple Cider Vinegar – is probably one of the most popular natural cures that are often discussed for treating different illnesses and symptoms including hair loss. A few of the common health benefits and uses for vinegar include weight loss, detoxification, acid reflux, arthritis, wart removal and finally, possible hair re-growth. In this post, we will focus how ACV can help people who are experiencing thinning hair. In general, organic apple cider vinegar contains essential minerals (potassium, calcium, magnesium, phosphorous, Vitamin C, E, and others) that promote healthy growth, repair and maintenance of the human body. The healing properties ACV provides also appear to work for hair loss problems. There are a handful of men and women who swear that apple cider vinegar resulted in new hair growth on the thinning edges and/or their temple areas (See other natural remedies for hair loss here). The first time I heard that vinegar could be used to combat hair loss was on the Earth Clinic website. According to the site moderator, he states that one of the reasons people lose hair is due to clogged hair follicles. He adds that apple cider vinegar is a very effective natural solution for removing any buildup on the scalp (this is one of the reasons people are also using vinegar for dandruff issues). Especially for people whose hair gets very greasy quickly due to the excessive hair sebum (natural hair oil produced from sebaceous gland located inside the scalp), ACV provides a number of benefits. Another point worth mentioning is that ACV can lower iodine levels in our bodies. So if you decide to orally consume vinegar as a part of natural hair growth remedy routine, it is strongly recommended to take iodine supplements or foods rich in iodine to balance it out. (Ex: Kelp, a type of seaweed, is very high in Iodine. You can easily find kelp at any Asian market). What Do People Say about Apple Cider Vinegar and Hair Growth? To start with, similar to any hair loss products or natural home remedies, ACV might not be the solution to cure hair loss for everyone. But it’s great to know that there are actual customers who have used vinegar on their hair and saw positive results from it. Another website I found is about a man who has topically used organic cider vinegar to regrow his hair. He applied it every morning for six months to his thinning areas. Looking at his before and after photos, he seems to have had positive results from it. 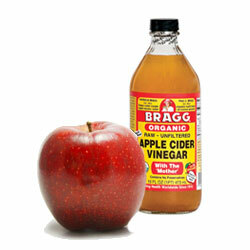 Vinegar Rinse for Hair: Get an empty shampoo bottle and mix ¼ cup of ACV with 16 ounces of water. Apply it onto your scalp after shampooing your hair and massage it gently for several minutes. You can use this vinegar rinse mixture once or twice a week. A Bit of a Twist: Mark, the owner of ACV Hub, says that he added 2 tablespoons of vinegar with a bit of cayenne liquid. Then, he rubbed the mixture on the affected area and left it for an hour. 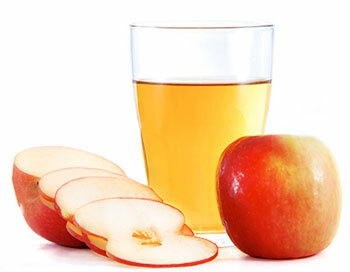 Normal Method: There are also other people who have positive results by consuming ACV orally. They dilute 2-3 tablespoons of ACV with water and drink it once or twice a day after meals. A Bit of a Twist: For people who have a hard time drinking ACV (I don’t blame you), sprinkle it in a salad. It is much easier to consume this way. Simplest Method: Or you can simply go with apple cider vinegar tablets, capsules or pills. It is less time consuming and much easier to incorporate in your daily life. Where to Buy Organic Apple Cider Vinegar – Is There Any Particular Brand I Can Trust? Unpasteurized vinegar contains mother, the white jellylike enzyme you see at the bottom of the bottle. Apple cider vinegar mother is an evidence of a natural vinegar making process. To make it better, you can’t beat the price. The Bragg’s organic vinegar is very affordable and costs under $10 (16 oz), which is about the same price as two morning lattes at Starbucks. With 3600+ customer reviews talking about the brand, you can’t go wrong with it. 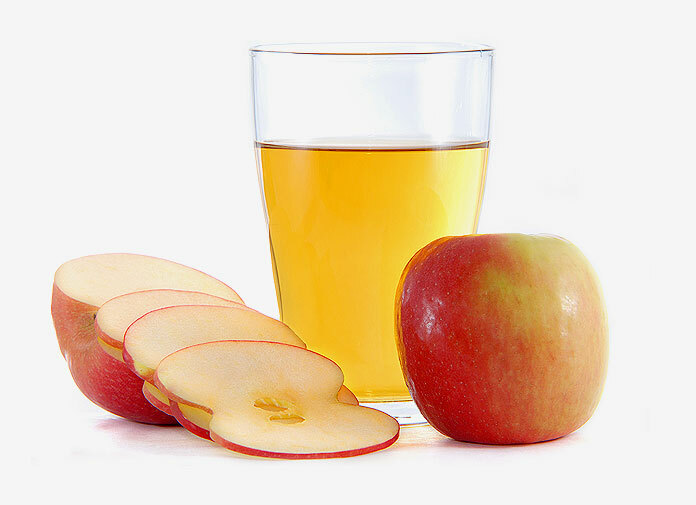 Have your tried ACV for your hair loss? Share your experience below. ACV with Cayenne Pepper on scalp left hair feeling incredibly healthy after rinsing off after half hour-ish. I think it was very good towards hair health and regrowth, though not applied over long enough period to quantify accurately. Watch out for the Cayenne Pepper drops causing increased skin sensitivity though! Can cause serious allergic reaction. At this stage, I would recommend ACV on the scalp without the Cayenne Pepper. I had tried so many topical oils, vitamins, hair growth remedies, etc for my thinning edges. This went on for at least 5 years. I decided to drink ACV for weight loss without knowing that drinking ACV would help it. After a couple of weeks of drinking 2T ACV and 2T lemon juice with water 3Xs daily, my hair started to sprout. I knew it had to be the ACV because I was already drinking the lemon and water and never saw these results. I can’t believe it!!!!! All that money I spent on so many products that did nothing and all I needed was this. Glad it happened though because I had totally given up.